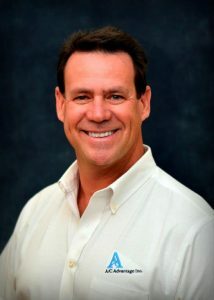 Hello I’m Scott Camire, owner of AC Advantage. We work hard to have a great reputation in our community. I’d like the opportunity to earn your trust as well. Our team has been servicing and installing Air Conditioning and Refrigeration Systems since 1980. When looking for an HVAC contractor we have the experience and intergity you can trust. We hire experienced professionally trained technicians. With over 100 years of combined experience. We diagnose and fix your problem properly the first time. I make myself available to my customers. At any time if you have a question or concern don’t hesitate to call and ask for me personally. At A/C Advantage Inc we strive for 100% satisfaction. Air conditioning repair, Sales and service. Servicing Port St Lucie, Stuart, Palm City, Fort Pierce, Vero Beach, Tradition, and beyond. At A/C Advantage Inc. we pride ourselves on great customer service that is shared by word of mouth referrals. Our customers will refer us to their families and friends. This type of referral is the best compliment we could receive. It means we are trusted and we have satisfied our customers. We are a part of this great community and we are proud of it. Scott Camire, the owner and founder of A/C Advantage Inc., started with an American dream of owning his own business. A/C Advantage Inc. has grown during some of the toughest economic times, and this was only possible with hard, honest work. Do you have questions about us? Or would like you like an estimate on repairs, installations, or upgrades? Contact us today.